We’re featured in American Farmhouse! 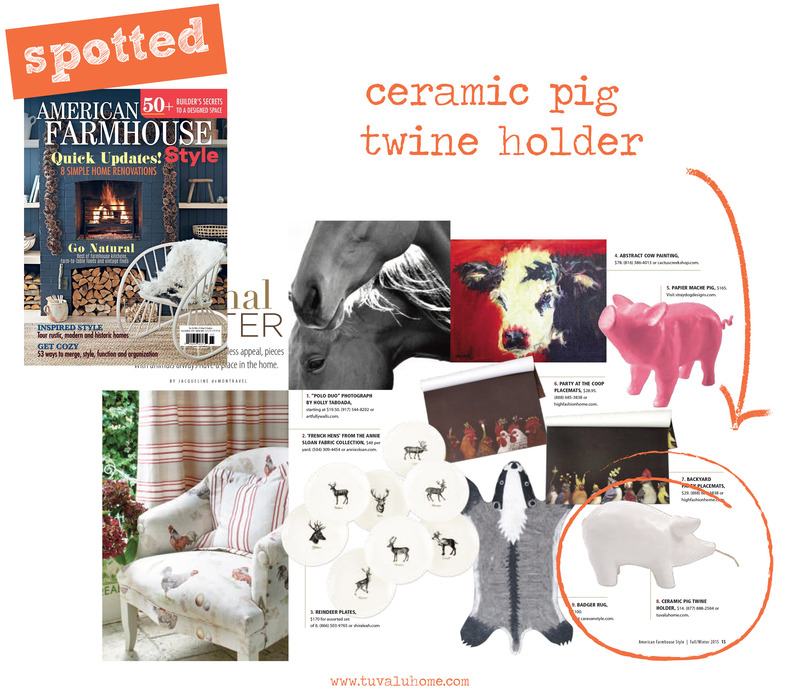 Our Ceramic Pig Twine Holder is featured in their “Barn Finds” section of the 2015 Fall/Winter issue! The cute, little twine holder is perfect as a decorative and function piece for the home. This little piggy even holds up to 20 yards of twine! That should be enough to get you through the holiday season right?? If you want to pick up the Ceramic Pig Twine Holder you can find it in our store or on our online store here!